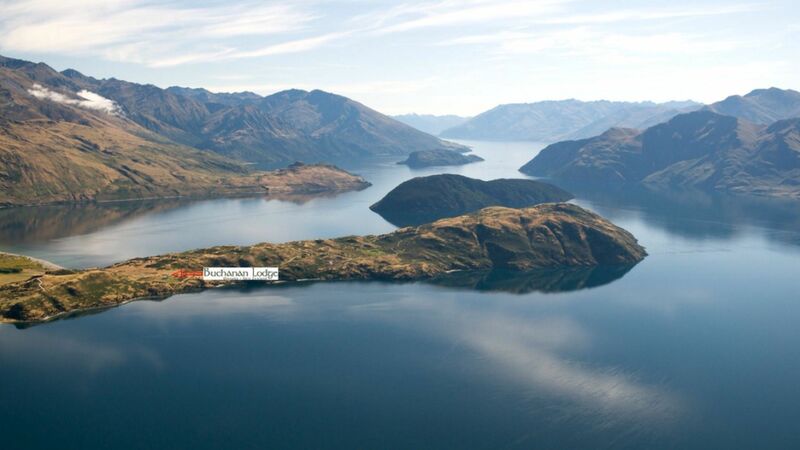 Just 20 minutes outside Wanaka town, Buchanan Lodge sits on a beautiful peninsula jutting out into Lake Wanaka and therefore enjoys a lakefront position that is the envy of many. A short stroll below the house are several secluded beaches only accessible by private road and the property even has its own boat ramp. Behind the house lie the string of snow-capped mountains which make up the Buchanan mountain range, from which the Lodge takes its name. Also within walking distance is superb trout fishing at the mouth of the Matukituki river. Central Otago is fast becoming one of the most popular destinations in New Zealand. It offers up something for everybody, whether it be extreme sports or deep relaxation. Wanaka town is a fast-growing, delightful town with many bars, restaurants and boutiques. From Wanaka, it is easy to arrange wine tours, heli-skiing, jet boating, bungy jumping, mountain biking, paragliding and many more activities. As Buchanan Lodge is situated on the edge of Mt Aspiring National Park, it is perfectly located for hiking and tramping in the Wanaka region.